At Buyfinediamonds, we use the highest quality precious metals, which have been mined from the earth and carefully forged into premium rings, necklaces, pendants, and earrings by expert jewelry artisans. 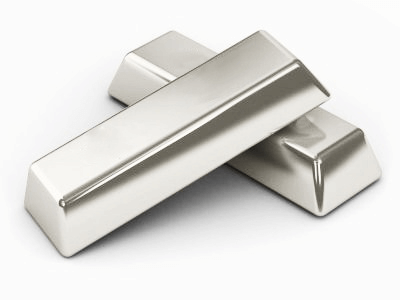 Although gold, platinum, and silver are the most commonly used varieties, other metals like Palladium have become increasingly popular. Throughout history, gold has been used for monetary systems and still today remains an important part of our economy. Gold has also become a popular precious metal that is used to make jewelry, because it can be molded, shaped and carved into intricate jewelry designs. Gold also does not rust, tarnish or corrode. Gold is the most popular choice for wedding and engagement rings, it is also very popular in right-hand rings, earrings, pendants, necklaces and bracelets. There are two things to consider when looking to purchase gold jewelry. First, which gold karat to choose and second, what color of gold color or combination of gold colors for the jewelry. There are various grades of gold purity, determined by the ratio of their alloy composition and rated by a karat system. Typical karat purities range from 9 karats to 24 karats (pure gold), with a wide variation of usage from country to country. 24 Karat Gold : In its purest form, the metal is comprised of 100% gold with virtually no alloy metals. Pure gold is extremely soft and pliable, which is why it's often mixed with other metals, such as copper and silver, to forge jewelry. 22 Karat Gold : This level of gold is 91.7% pure which is still too soft to make jewelry and not as durable as 18K or 14K. 18 Karat Gold : This alloy consists of 75% gold and 25% alloy metals. 18 karat gold has been found to be the perfect balance between gold purity and strength. Brilliance offers a variety of exquisite 18 karat gold jewelry. 14 Karat Gold : 14 karat gold is 58.3% pure gold; the remainder is comprised of alloy metals. Any gold purity less than 14 karat gold is not recommended for high quality jewelry. 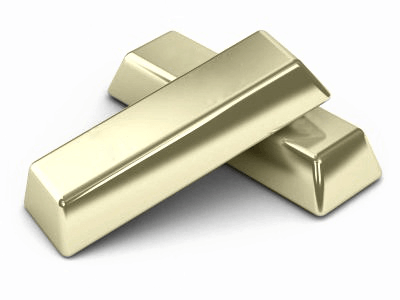 9 Karat Gold : This tier of the metal consists of 37.5% gold. This is the minimum purity that can still be considered gold in the United States and is not used for high quality jewelry. Pleasing to the eye, rose gold color is recently gained popularity and fame. It has an outstanding pink hue which is created when yellow gold is blend with copper in proper percentage to get the desired rose color. More the percentage of copper stronger would be the shade of pink or red color. Platinum also called the “king of metals” is extremely rare and is considered more precious metal than gold. It is also the heaviest metal to be used in crafting jewelry. Spaniards referred to this curious metal as “patina” or “little silver” and King Louis XVI of France declared platinum as the only metal fit for royalty. As platinum is resilient, sturdy, has a high melting point, is resistant to corrosion or chemical attack, and cannot be scratched easily, it is considered to be an ideal metal for setting precious diamond jewelry. It has a unique white luster and its neutral color perfectly brings out the natural blaze and brilliance of a diamond and hence it has become one of the most popular metals for setting diamond engagement or wedding rings. Palladium known to be a member of the Platinum group is one of the rarest metals on earth. It is also, referred to as “Noble metal” due to its superior capability to resist corrosion and oxidation. Palladium is durable, lustrous, and naturally a white metal, which makes it the best substitute for white gold. It is less dense and that is the reason it is significantly less expensive than platinum. Known to be a fashionable metal, palladium is popularly used in making diamond wedding or engagement rings. It is also a hypoallergenic metal and is suitable for people with sensitive or allergic skin. Just like platinum metal and hence ensures that the jewelry remains white all the time. Palladium is preferred by many jewelry designers because it is quite malleable and can be used in detailing intricate jewelry. Silver like gold is also one of the first metals to be used by mankind. It was Pure silver, also identified as fine silver is a malleable, white, and lustrous metal. It is considered as the most reflective metal and can be polished to get a superior sheen. The symbol of silver is "Ag" which in Latin means argentum meaning white and shining. Findings suggest that ornaments and decorative pieces made from silver have been found that go back to 4000 B.C, and silver alongside gold was used as money for many centuries. Because pure silver is soft, it is alloyed with copper to achieve hardness. The most common alloy which is combined with silver to provide durability is sterling silver.